My 9′6″ Nutshell Pram. 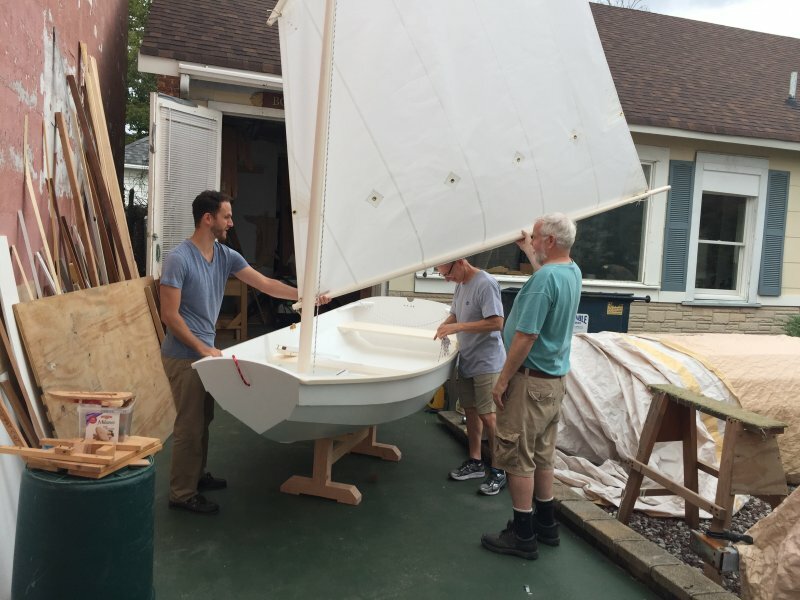 I commissioned it to be built by the Long Island School of Wooden Boatbuilding where I lent a hand and became part of the process. 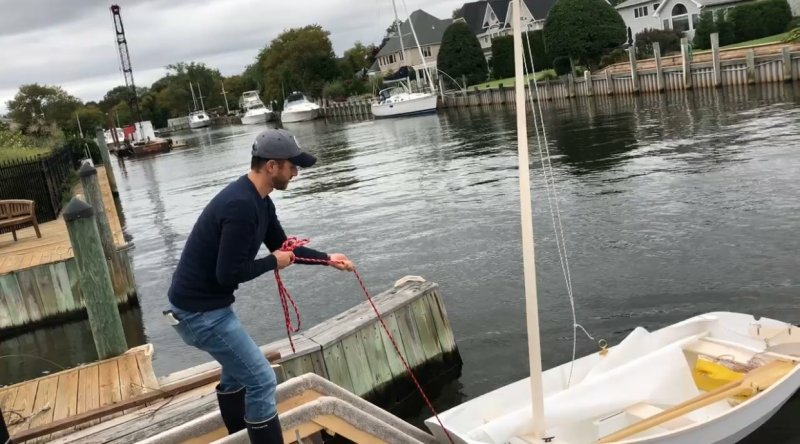 I launched it on 9/23/2018 — and can say with confidence that it is the best boat I’ve ever sailed. 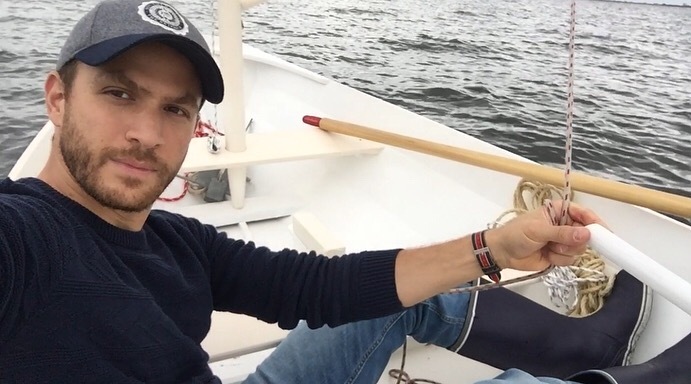 I do not use it as a tender, for this is my sailboat — and a capable boat she is. It was built from scratch, from Sapele, and according to the specs of the plans via WoodenBoat (who were a great help along the way). 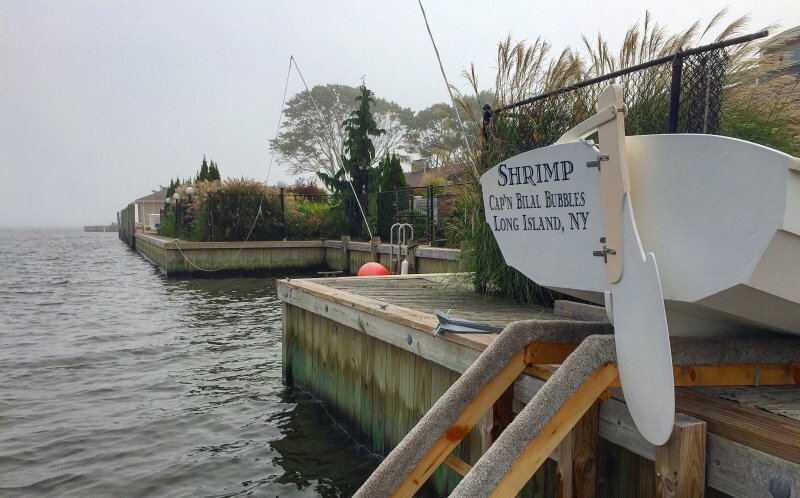 She will be sailed primarily on the Great South Bay of Long Island, NY — with occasional trips and ventures outside of her native waters. My plan is to take on a grand voyage, a circumnavigation of Long Island. God be with this boat and her Captain. Thanks to Joel White for desiging this grinningly fun vessel.